Gabriel Garcia Marquez Battles Memory Loss. Will He He Ever Right Again? Gabriel Garcia Marquez Battles Memory Loss. Will He He Ever Write Again? The Columbian born Nobel Literature recipient could have Alzheimer's disease. Will he ever right again? "Cien años de soledad" ("One Hundred Years Of Solitude") took us to beautifully imaginary places where extraordinary things happened. In a tangled series of non-linear events, Gabriel Garcia Marquez chronicled the multi-generational story of the Buendia family, where each family member's name was a tangled variation of another's. There was Jose Arcadio Buendia, Jose Arcadio Segundo, Aureliano Buendia, Aureliano Buendia Segundo, Úrsula Iguarán, Amaranta Buendía, Amaranta Úrsula and the list went on. With each name came a more intricate prose to develop. But now, in an interview in Kien&Ke.com, a Colombian digital magazine, Plinio Apuleyo Mendoza, a fellow novelist and journalist, and a close friend of Gabo -- as Garcia Marquez is fondly called -- describes how the 85 year-old author and master of magical realism has trouble recognizing his closest friends. Mendoza and Garcia Marquez wrote “Olor a la guayaba” (“The Fragrance of Guava”) together, bringing further life to conversations between both authors. The book is a window into Garcia Marquez's universe, evoking childhood memories, images of the Caribbean -- Gabo’s home and source of inspiration for many of his tales -- and a testament to the lifelong friendship between the two authors. Mendoza said he worries, given that one of Garcia Marquez's brothers and his mother suffered from Alzheimer's disease before passing away. But there hasn't been official confirmation or denial as to Garcia Marquez's deteriorating memory or related health problems. The author, who retired from the public life years ago, zealously protects his private life. But since 1999 when he was diagnosed with lymphatic cancer -- which he successfully overcame -- there have been recurrent rumors about his alleged deteriorating health. Most recently, in May of this year, Garcia Marquez was the latest target of a death hoax, which originated from a fake Twitter account using the name of Umberto Eco, the Italian writer. The fake news of Garcia Marquez's death went viral and inundated the web. Jaime Abello Banfi, the director of the Gabriel García Márquez Foundation for New Journalism, and the Colombian news site, Noticias RCN, to publicly deny Twitter rumors. Such speculation is not completely baseless. In 2010 Carmen Balcells, Garcia Marquez's literary agent said, “I don’t think he’ll write ever again,” to La Tercera, a Chilean newspaper. 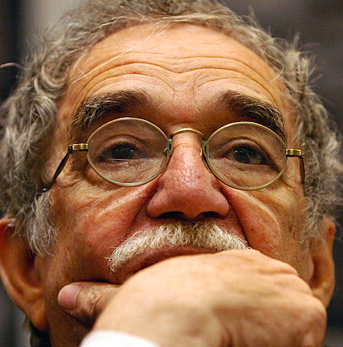 His biographer Dasso Saldívar, said that Garcia Marquez won’t conclude the second part of his memoir “Vivir para contarla” (“Living To Tell The Tale”), according to the Chilean publication. “I also don’t believe he will publish any new books. What’s unedited will be left to publish posthumously,” said Saldívar, at the time of the author's 85th birthday in March.